Want to quit smoking? Find a partner. London: While it is the right decision for a healthier life, quitting smoking can be a lonely endeavour. According to a recent study, partners can distract each other from the cravings by going for a walk or to the cinema and encouraging replacement activities like eating healthy food or meditating when alone. Active support works best, rather than nagging. During the process of quitting smoking, people feel left out when they skip the smoke break at work or avoid social occasions. On top of that, there are nicotine withdrawal symptoms. The researchers found that having a partner by your side, during this phase, helps. Half of coronary patients smoke and 90 per cent of people at high risk of cardiovascular disease are smokers. ESC cardiovascular prevention guidelines advise against tobacco in any form, and people who stop smoking generally halve their risk of cardiovascular disease. "Smoking cessation interventions should incorporate couples where possible to achieve a smoke-free household," said Magda Lampridou, lead author of the study. This study evaluated the supporting role married or cohabiting partners might have in smoking cessation. The study enrolled 222 current smokers who were at high risk of cardiovascular disease or had suffered a heart attack. Partners were also recruited: 99 were current smokers (45 per cent), 40 ex-smokers, and 83 never-smokers. Couples attended one of four preventive cardiology programmes. At the start, they were asked about current smoking status, history of smoking, and previous quit attempts. Smoking status was validated with a carbon monoxide breath test. During the 16-week programme, couples were offered nicotine replacement therapy with patches and gum. In one programme, participants could choose the prescription drug varenicline instead. At the end of the programme, 64 per cent of patients and 75 per cent of partners were abstinent - compared to none and 55 per cent at the start, respectively. 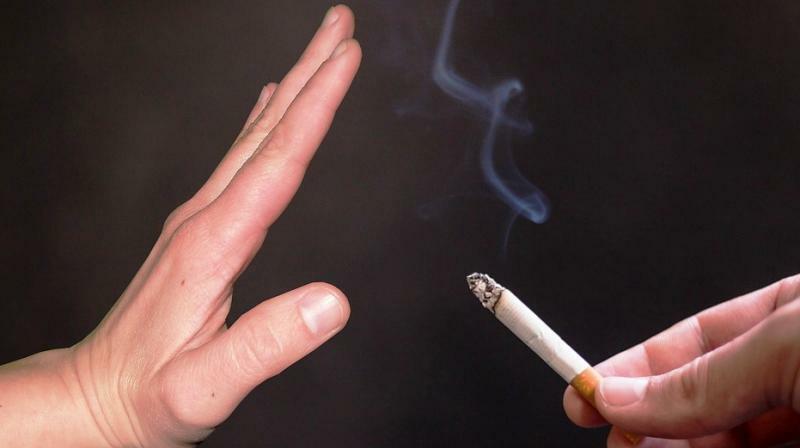 The odds of quitting smoking at 16 weeks were significantly higher (5.83-fold) in couples who tried to quit together compared to patients who attempted it alone. According to the researchers, as long as the non-smoking partners are concerned, there is a strong risk that they may adopt their spouse's habit. Tags: smoking, non-smokers, nicotine withdrawal symptoms.